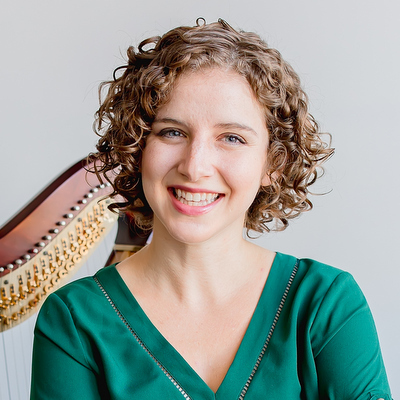 Originally from La Crosse, Wisconsin, harpist Hope Cowan moved to Houston in 2009 to pursue her musical education. She received a Bachelor of Music degree from the University of Houston and a Master of Music degree from Rice University, both under the instruction of Paula Page. Since graduating, Ms. Cowan has established herself as a sought-after performer and teacher in Greater Houston. As an orchestral harpist, she performs with the El Paso Symphony, Symphony of Southeast Texas, and the Mississippi Symphony. An avid chamber musician, Ms. Cowan is a founding member of both the Deciduous Trio and the Lynx Trio, and is currently a Da Camera Young Artist. Chamber music performances include appearances at the National Flute Association Convention and the American Harp Society Summer Institute. She has appeared as a guest artist on faculty recitals at Sul Ross State University, University of Texas, El Paso, and San Angelo State University. In addition to her performing career, Ms. Cowan teaches harp lessons to students of all ages at her studio in Katy, Texas. She is also a faculty instructor for the Houston Summer Harp Festival, the harp coach for the Houston Youth Symphony, and a teaching artist for Young Audiences of Houston. When she is not busy teaching and playing, Ms. Cowan enjoys hiking, running, and trying new foods.